Crunchy, nutty and deliciously satisfying! These cookies will unleash the cookie monster in you. 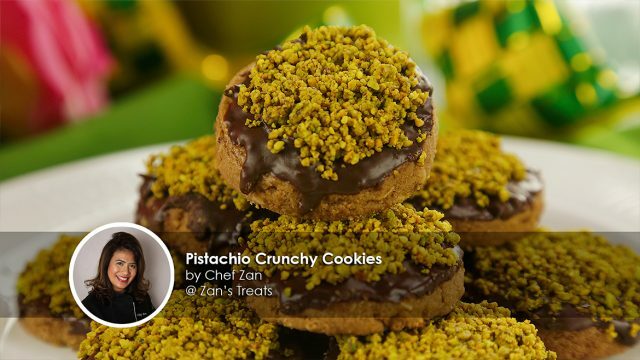 This Pistachio Crunchy Cookies recipe is shared by Chef Zan, a pastry chef who runs a baking academy Zan's Treats. She's passionate about teaching and sharing her knowledge to bake classic to extravagant pastries. 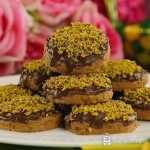 These Crunchy Pistachio Cookies are the perfect treat for any occasion. The perfect marriage of two indulgences, pistachio and rich dark chocolate. The two ingredients strike the perfect balance between texture and taste, making it incredibly addictive. These delicious cookies are also really simple to make. 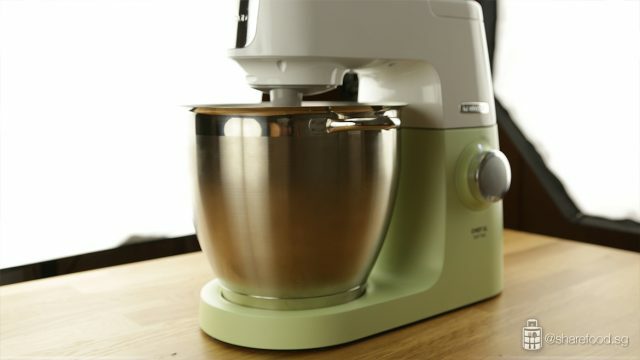 In this recipe, we simply place all the ingredients for the dough into the Kenwood XL Sense stand mixer. Mix it on low speed till all the ingredients are well combined and there you have the perfect dough to be made into cookies. We used Kenwood XL Sense compact chopper/grinder attachment to finely chop the pistachio nuts. It helps to save time and hassle in using more machines in the kitchen. Chef Zan shares that using chocolate bars are a better alternative to chocolate chips. Bar chocolate is higher in quality and gives a better result to the final baked goods. It also has a more intense flavour which makes the chocolate really satisfying to have. 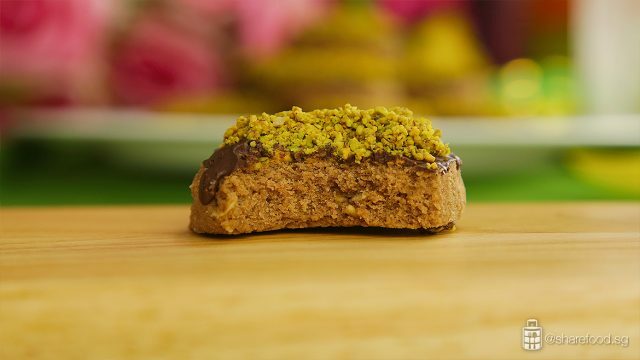 Adding pistachios makes this cookie a healthier snack for everyone to have. It contains essential vitamins and minerals for healthy skin, gut and heart. This is undoubtedly a treat for any chocolate lover. With this recipe, you'll make a really good cookie that everyone can't stop eating. Crunchy, nutty and deliciously satisfying! These cookies will unleash the cookie monster in you. 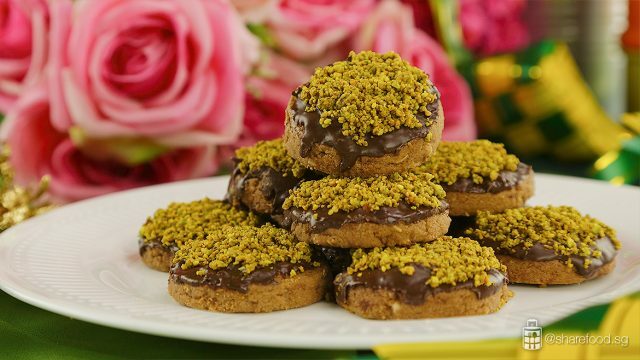 These Crunchy Pistachio Cookies are the perfect treat for any occasion. 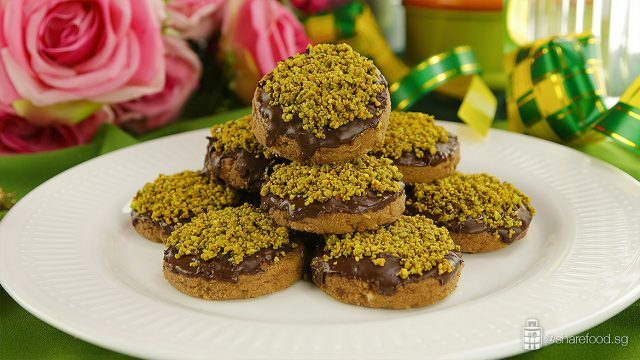 The perfect marriage of two indulgences, pistachio and rich dark chocolate. The two ingredients strike the perfect balance between texture and taste, making it incredibly addictive. 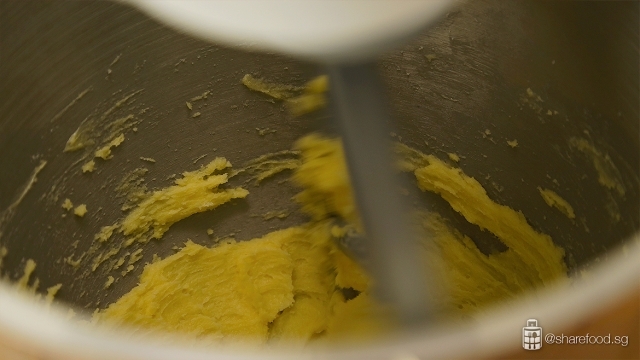 Add butter and sugar into the Kenwood XL Sense stand mixer. Beat on medium-high speed until light and fluffy. Add coffee paste and peanut butter. Beat on medium-high speed till well mixed. Add in cocoa powder, cake flour, potato flour, cornflour, instant oat cereal mix and baking soda. Mix on low speed till the ingredients are well combined. Lay a large piece of cling wrap on the work table. Place dough in the middle. Cover the dough with another layer of cling wrap and roll out the dough to a thickness of about ½ inch. Cut the shape using an oval-shaped cookie cutter. Arrange the cookie on the baking tray lined with parchment paper. Brush the top of the cookie with egg white, sprinkle ground pistachios on them. Bake for 25 – 30 mins. Remove from oven set aside to cool. Before baking the 2nd batch of cookie, cool the baking tray first before laying the cookie dough on it. 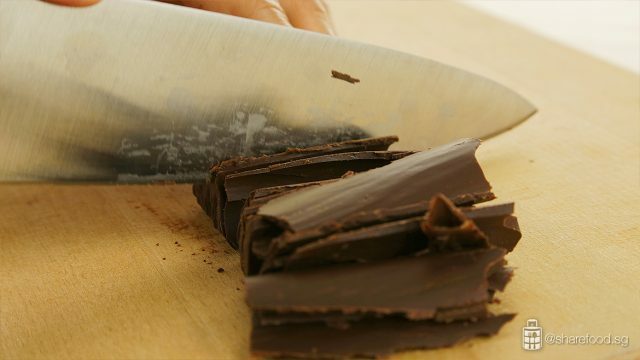 Chop the dark chocolate bar into small pieces. 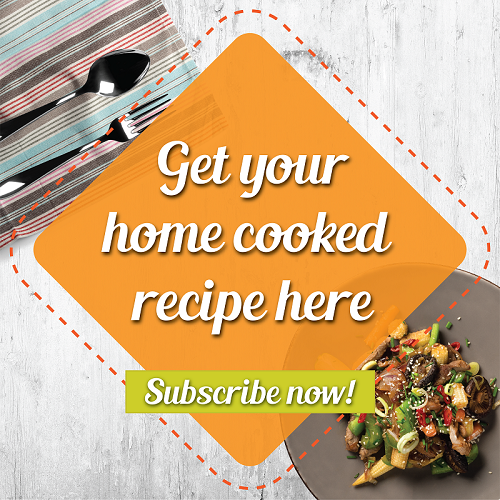 Put the chocolate into a stainless-steel bowl and place it over a pot of simmering water. Stir gently until the chocolate melts. Remove the bowl of melted chocolate from the heat. 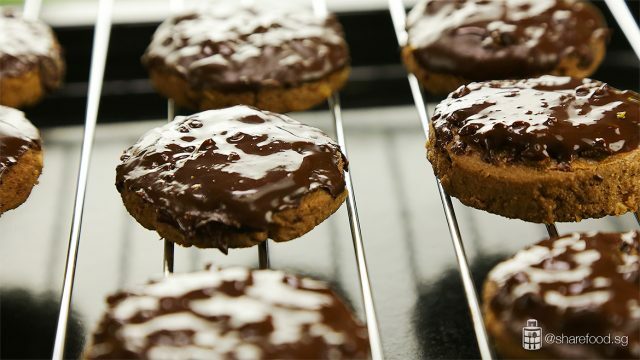 Dip the top of each baked cookie into the melted chocolate. 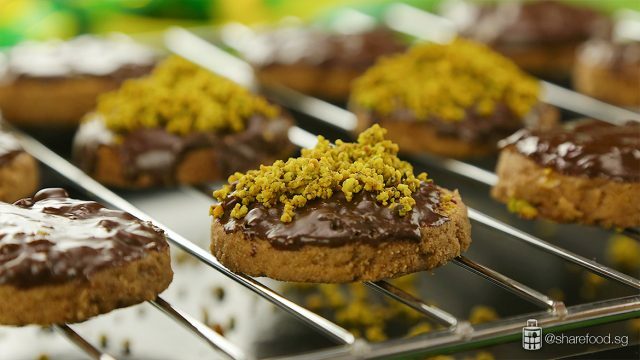 Sprinkle toasted ground pistachios on the coated surface of each cookie. Set aside to cool and it is ready to be served. Store in airtight containers and there you have, a delicious treat on standby whenever you're craving for a treat.